Collins Booksellers - [KEY SUMMARY] Awaken the Giant Within by Chris Woods, 1230001748048. Buy this book online. 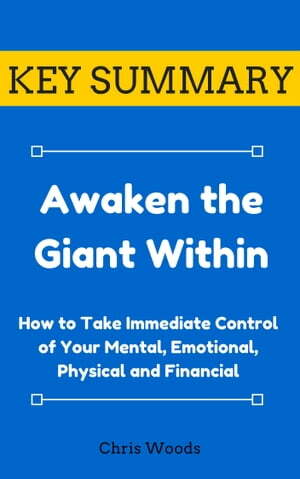 "The KEY SUMMARY to Awaken the Giant Within by Tony Robbins"
This summary will help you cut the fluff and get right into the key messages of the book. You'll feel like you've read the entire book! There are so many books to read and yet so little time. It will take you a few days to a few weeks to read a typical book, depending on your reading speed. What if you could get the core knowledge of the book in just 30 minutes? How many more books could you have read? This summary book will increase your productivity and maximize your time. Get the necessary knowledge in double quick time.